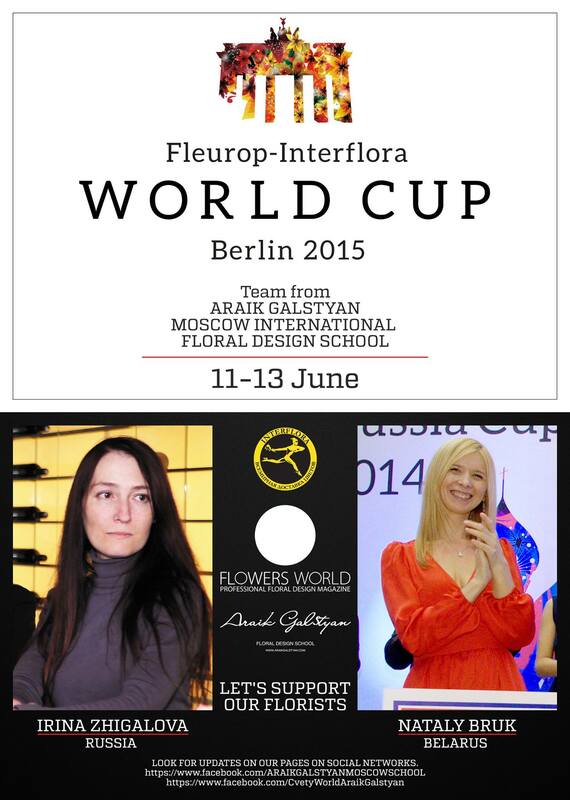 Browsing articles from "Май, 2015"
This year, in Fleurop-InterfloraWorld Cup 2015 team of ARAIK GALSTYAN MOSCOW INTERNATIONAL FLORAL DESIGN SCHOOL presents two countries — Russia and Belarus. Russia will be represented by floral designer, winner of INTERFLORA RUSSIA CUP 2014 — Irina Zhigalova, her participation in the Championship is sponsoring the magazine «Flowers World». Belarus is a graduate of the school Arayik Galstyan — Nataly Bruk, winner of the Audience Award at INTERFLORA RUSSIA CUP 2014, Sponsor — ARAIK GALSTYAN MOSCOW INTERNATIONAL FLORAL DESIGN SCHOOL. We express our gratitude and want to say a special thank you Elena Razumova, the General Director of the company INTERFLORA RUSSIA & CIS, for the perfect organization of INTERFLORA RUSSIA CUP 2014 and support during the preparation for the World Cup. From 11 to 15 June, all of us waiting for a fascinating spectacle, when the world’s strongest florists will compete for the title of World Champion! This is a very prestigious and important event and the victory depends on the right attitude contestants! Let’s support our team! So let the energy of our hearts Irina and Nataly! Thanks to pur general partner company» Flower from Machelyuk» , the cash and carry in the center of Moscow (tel. : 8(906)700-30-45, e-mail:dev@macheliuk.ru). Look for updates on our pages on social networks. Applications will be accepted by e-mail agfloralschool@gmail.com or web site http://moscowflowerschool.com/. Cost of course is 30000rub. Payment can be done online here http://store.araikgalstyan.com/ or by bank transfer (details per request). 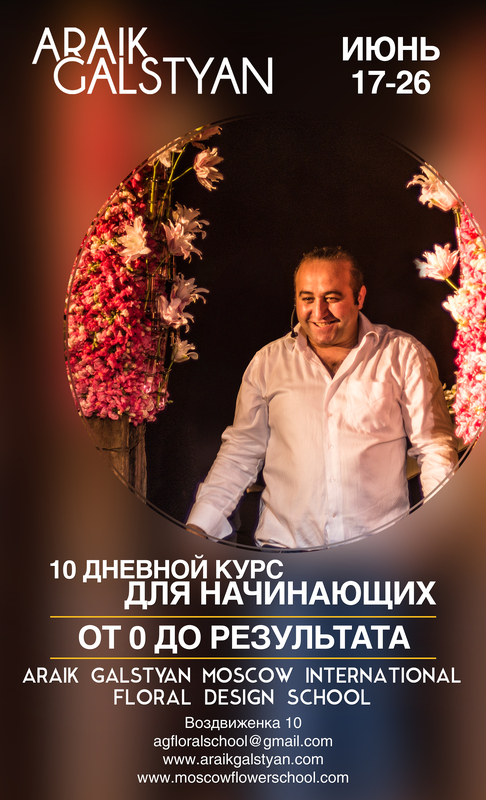 We invite for personal workshops of Araik Galstyan Theme and date can be choosen by yourself. 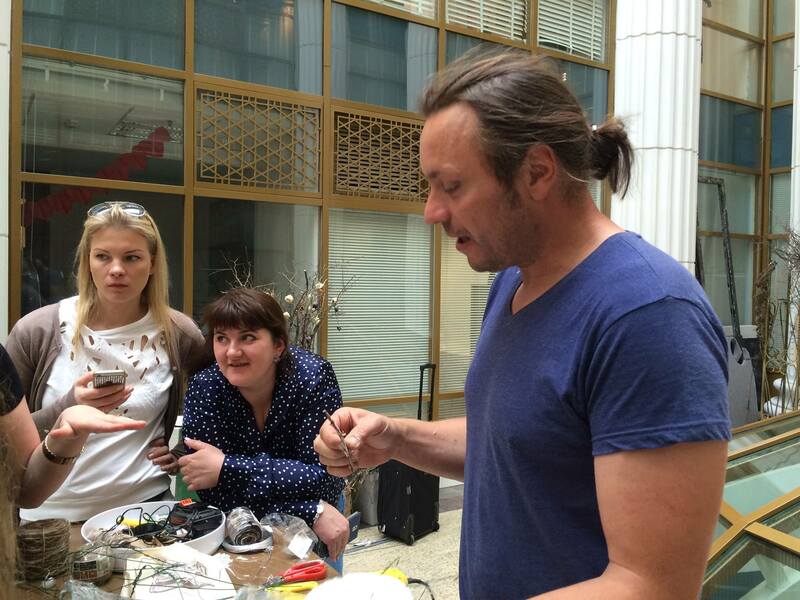 Place of workshop: Araik Galstyan Moscow International Floral Design School. Payment can be done through bank transfer, online at store.araikgalstyan.com (details per request). 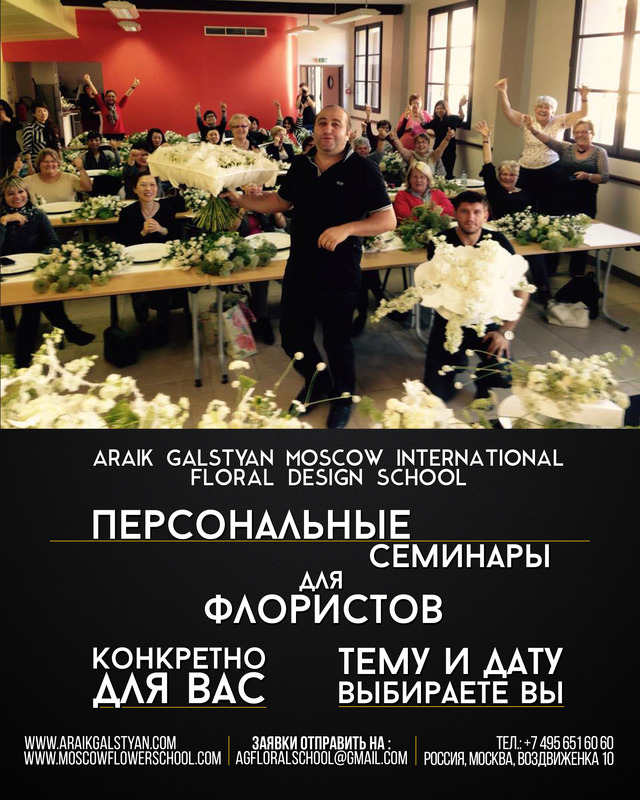 We invite for the workshop of Araik Galstyan from 1-5 of June, 2015 in Moscow at Araik Galstyan Moscow International Floral Design School. For the second time floral troops under the command of Arayik Galstyan wins the capital of Kyrgyzstan. 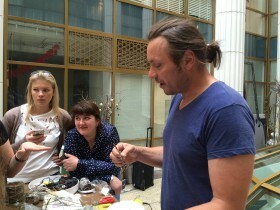 On May 5 and 6 there wa held master class of well-known florist, who take with him the most progressive students-florists from different countries, who are in their desire not to stop to podcherpnut gathered new knowledge about innovative techniques of floristic fro the master. 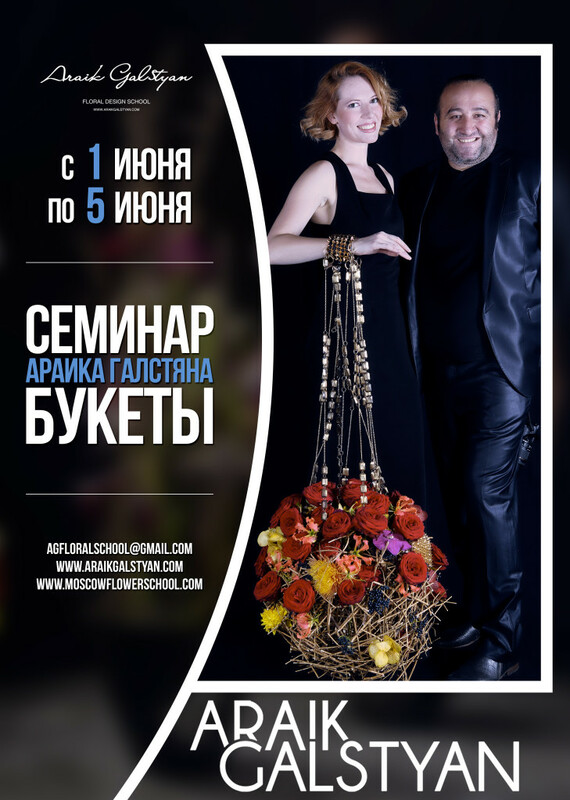 And on May 8 for the second time, having won a grand wedding show by Arayik Galstyan and students ARAIK GALSTYAN MOSCOW INTERNATIONAL FLORAL DESIGN SCHOOL MBA. Also the founder of the school in the floral show attended his favorite students from different countries: Liana Glingani (Brazil), Ion Rotaru (Portugal), Elena Kostina (Russia), Natalia Bobruk (Belarus) and Pavel Gorbenko (Russia), Vladimir Savinkov (Russia) , Ruslan Valiev (Russia). Organizers is «Flora Service» LTD.
India is known for all its luxurious wedding celebrations, which use sea of ​​flowers. 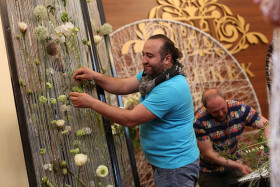 Organizers of such events concluded with the famous florist Araik Galstyan of Russia the exclusive contract for the design of such holidays. 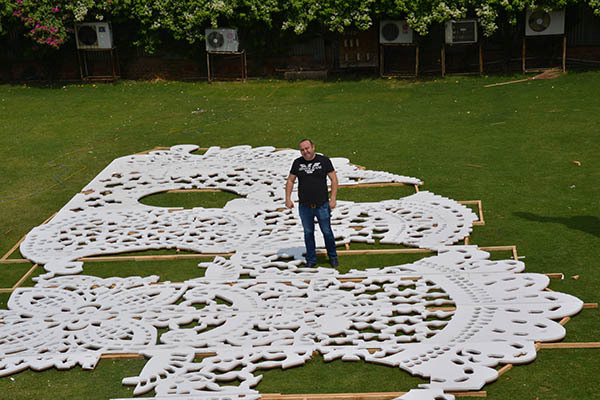 And from 25 to 29 April was held in New Delhi and one of grand decorations, where Arayik able to make full use of his talent of florist-designer. As a result of painstaking, we can say jewelry work received outstanding composition decorated specially built for the celebration of the project Arayik pavilion.